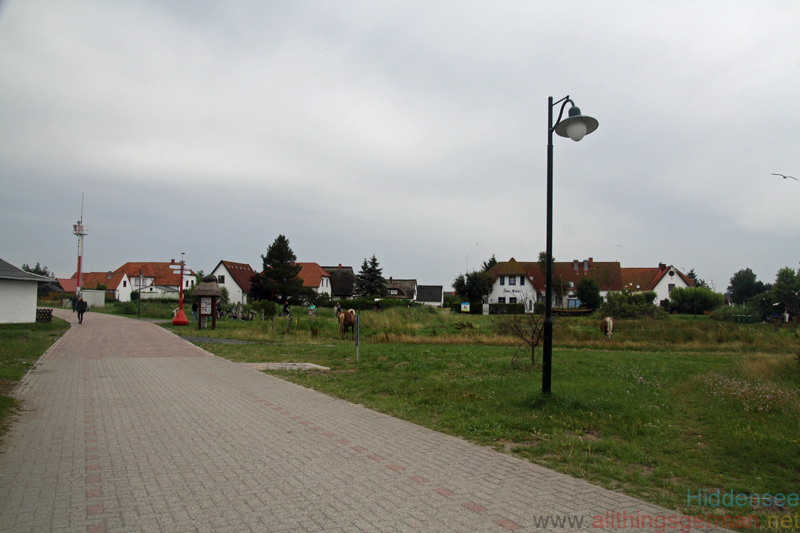 Having stocked up on supplies on the mainland, the only thing we purchased at the harbour in Neuendorf was a map of Hiddensee, showing the footpaths and which areas of the island are out-of-bounds to visitors. 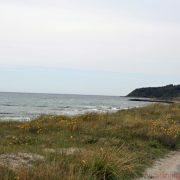 We left the harbour and headed South East towards the Plogshagen area, before reaching the beach on the west coast, with its view across the Baltic Sea. 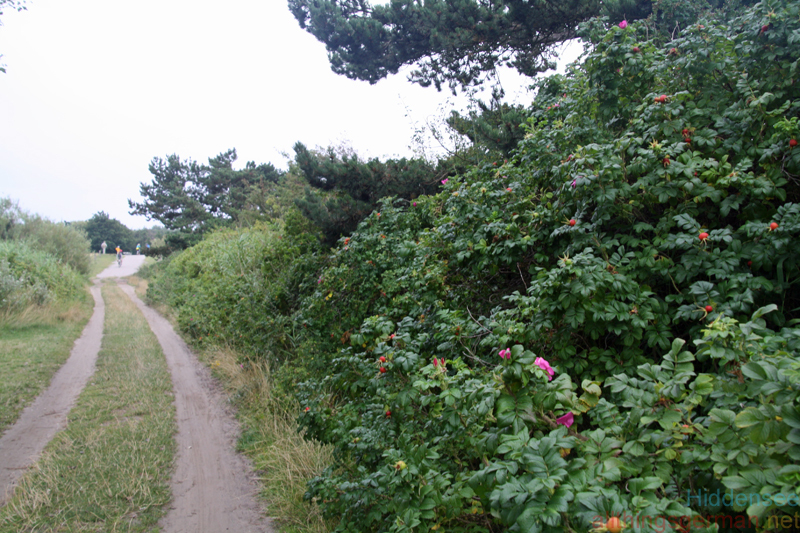 From here we turned North and walked next to the bushes of “Sanddorn” (Hippophae rhamnoides – Common sea buckthorn) – one of the things that the island is famous for. At the northern edge of Neuendorf we headed back inland, past the Fishing Museum, and turned onto the main island road. 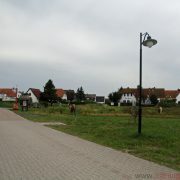 This is the road used by the bus service, cyclists, and any vehicles that have special permission to be on the island. At first the road pasts a small wood on one side, but otherwise at the point there are mainly fields and marshland on both sides. That is, until you reach the sand dunes. 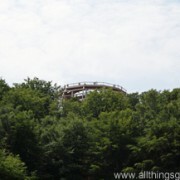 Eventually we reached the “Heiderose”, one of the most famous hotels on the island. Here, our map showed a path going off into westwards into the Dunes, before hitting what appeared to be another road running through them. We found the path and followed it through the trees, only to find ourselves in the middle of the sand dunes with not a road in sight. Only a lot of ways through the sand, but nothing signposted at this point. Assuming that the road must be there somewhere, we followed one of the paths towards the western coast, until we found a slightly larger and more firmer track, and guessed that this was what we were looking for. Having got this far, we were slighly unnerved by signs warning us of the “Kreuzotter” (Vipera berus – the common European adder). Now committed to either following the path northwards to Vitte or finding our way back to the main road, we continued north. Other walkers that we met obviously had similar problems with the paths, as rather than being able to tell us which way to go, they very often asked us for help. After all, we had a map! 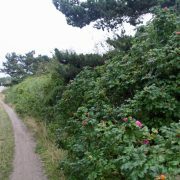 At about half way through the dunes, a small track crosses from the main road to the western beach. This was easy enough to spot and use to find where we were on the map. Unfortunately, once again we found ourselves guessing as to where the next path started. But having found what we thought was the right one, we set off through the second half of the dunes. 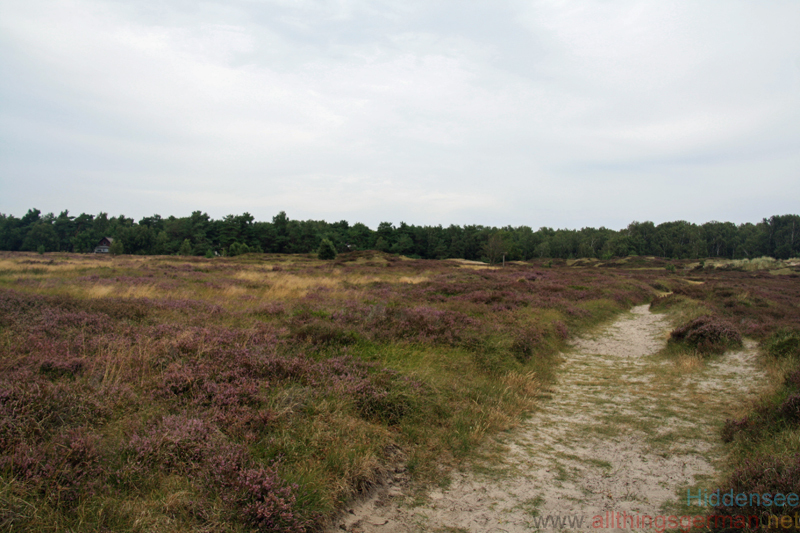 Except that here there was less sand and more high grass – and more warnings about the venemous snakes living in it. 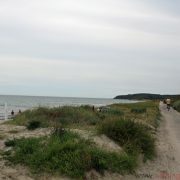 Having crossed through a field at the end of the dune, we were somewhat relieved to rejoin the main road and found ourselves walking into Vitte. In Vitte, we stopped at a café. Having had our lunch before we entered the dunes, we were now ready for something cold to drink and eat, and it came as no surprise that Sanddorn was very prominent on the menu. Not only is it used in cakes, but they also make ice cream out of it. In fact, there was even a “Sanddornbecher” on offer – ice cream with pieces of the fruit itself. After our rest we stocked up on supplies at the small Edeka supermarket in the middle or Vitte, and took one of the paths off the main road that leads between the houses and holiday homes to the main beach on the western side. With a fresh breeze blowing we walked along the path at the end of the beach, continuing northwards, until the rocks took over from the sand, with the waves crashing on them. Here, we stopped and just enjoyed the view, the fresh air, and being miles away from anywhere. 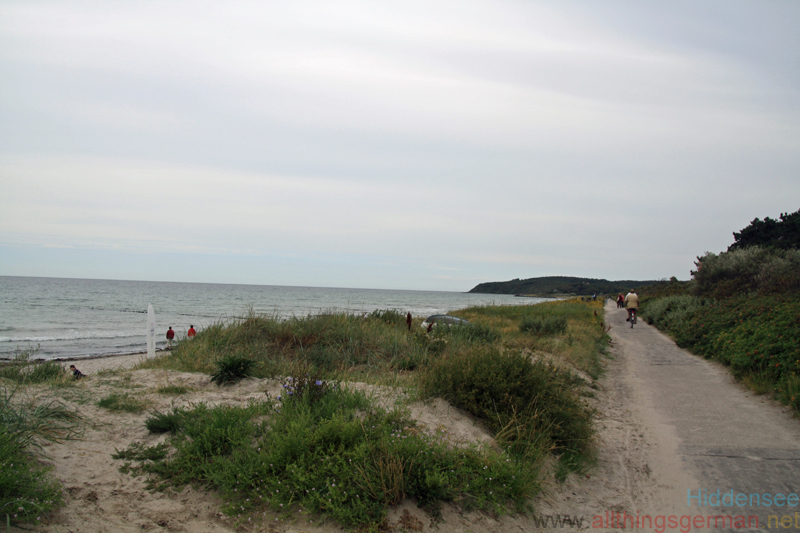 Eventually, however, it was time to start thinking about the ferry back to Rügen and we continued along the beach path until the main road joined it outside of Kloster. With our feet now getting tired and aware of the walk back to the car ahead of us, we took the lower road directly to the harbour, rather than going through Kloster itself. 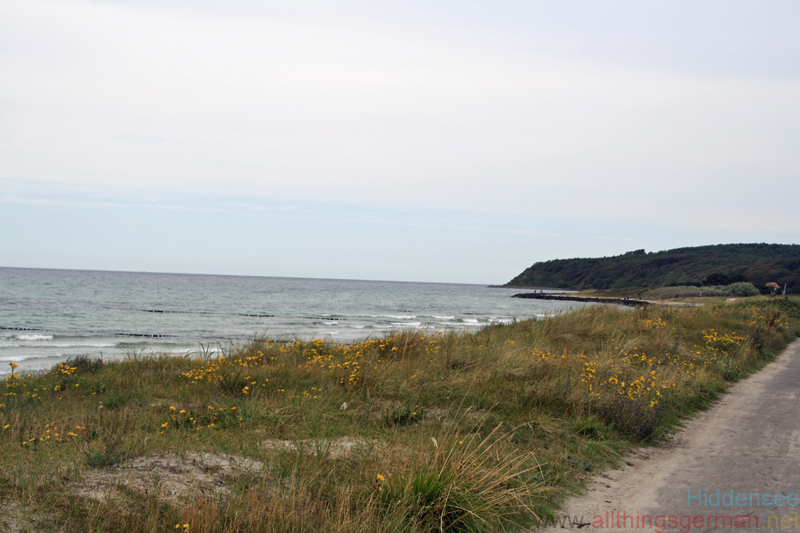 Spending a day walking from one end of Hiddensee to another was certainly a different way to see the island, and remains one of our favourite days together whist on holiday on Rügen. One day we might make it back again, and go and see the northern part of the island and lighthouse, or even walk to the tip of the island. Then again, we might hire bicycles next time instead. 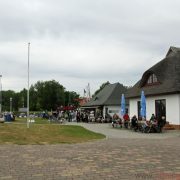 Most visitors to Hiddensee come by ferry from Schaprode on Rügen which serves all three harbours on the island in the summer, and the central harbour in Vitte in the winter. 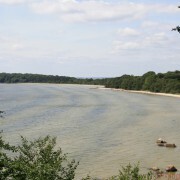 There is also a connection to Wiek, and on some days there is a ferry to and from Stralsund on the mainland.